That several pounds of soil can accumulate in the fibers of your carpets and rugs? Even weekly vacuuming can't prevent this! 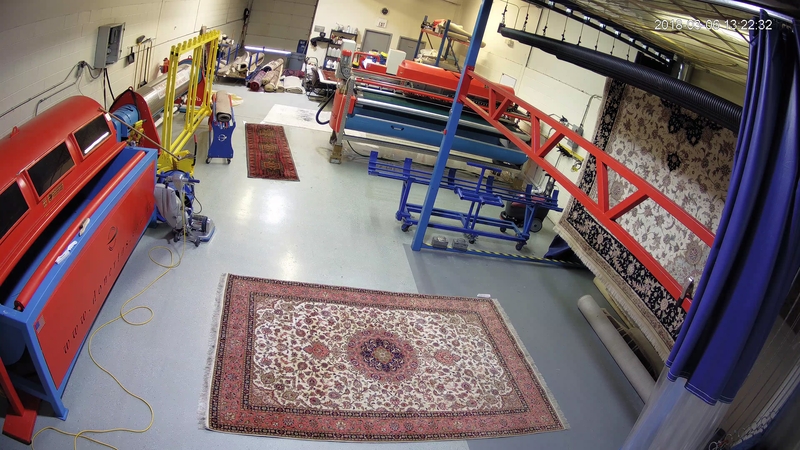 Rug cleaning frequency depends on the amount of traffic on the rug. Pets, children, and food on the rug and the rug’s location in your home hasten its soiling. Many of our customers clean in the spring and fall, and many others just once a year. Not nearly as thoroughly as in our plant. Here is why. 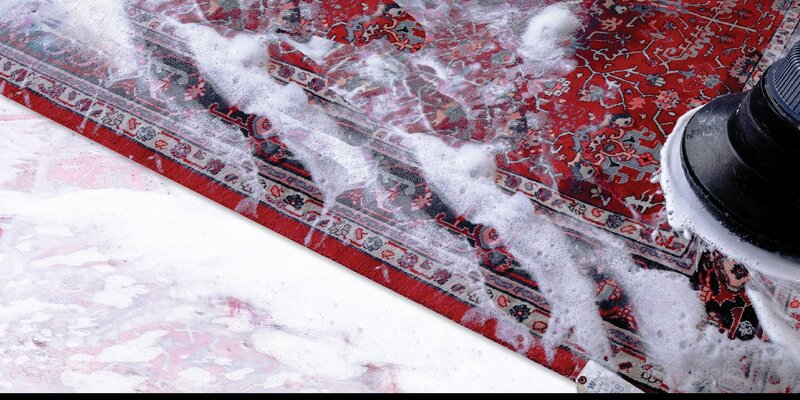 Rugs cleaned on-location are rarely dusted thoroughly, which means pounds of soil in especially wool rugs, become “soapy mud” in the foundation fibers when the water and solutions hit the fibers. This embedded soil can cause dry rot in the cotton foundation over time, which is not correctible. Rugs cleaned on-location are also rarely rinsed thoroughly because of the fear of getting the floor wet, and also having the dry time of the rug take too long. This means a sizable amount of chemical residue is left in the fibers, and if it is on the alkaline side, this will lead to dye damage to the rug. Cleaning wool rugs in the home is not cleaning them, it’s damaging them. Receive a complimentary price quote for rug cleaning services that will fit your needs & budget. If you’re looking for exceptional service in rug cleaning, we’re the ones to call. Our Boston Oriental Rug Cleaning company specializes in professional cleaning of oriental, wool, silk, Persian, Indian, Karastan and other rugs. Our technicians are specially trained in handling of any kind of your floor covering cleaning to provide the best service possible. To make it more convenient, we offer same day service with FREE PICK-UP and DELIVERY in Boston metro area to all of our clients. Boston Oriental Rug Cleaners is a family owned business. Therefore, all of our team members would like to use the obtained knowledge, the modern equipment, and earth friendly solutions to meet the demanding standards of our clients. We take pride in delivering the best professional rug cleaning service possible. There are many different kinds of rugs. Rugs make our home look nicer and wormer. It is important part of our interior decor. Other rugs have symbolic value because they are inherited by you from your love ones. At Boston Oriental Rugs we use our expert team to ensure that your rug would be handled professionally throughout green rug cleaning procedure. Pre-Inspection Of Rug For Spots, Stains, Construction, Dyes And Best Cleaning Method For Your Rug. Dusting To Remove Dry Abrasive Soils. Gentle Shampooing Of Rug To Remove All Soils And Stains. Are they educated and certified as a Woolsafe Certified Provider? The Woolsafe logo can only be used by company leaders and owners who have trained with world- class teachers from this from this worldwide organization who teach how to safely and effectively clean natural rugs and carpets. Remember that wool contains lanolin and other natural oils from the sheep. 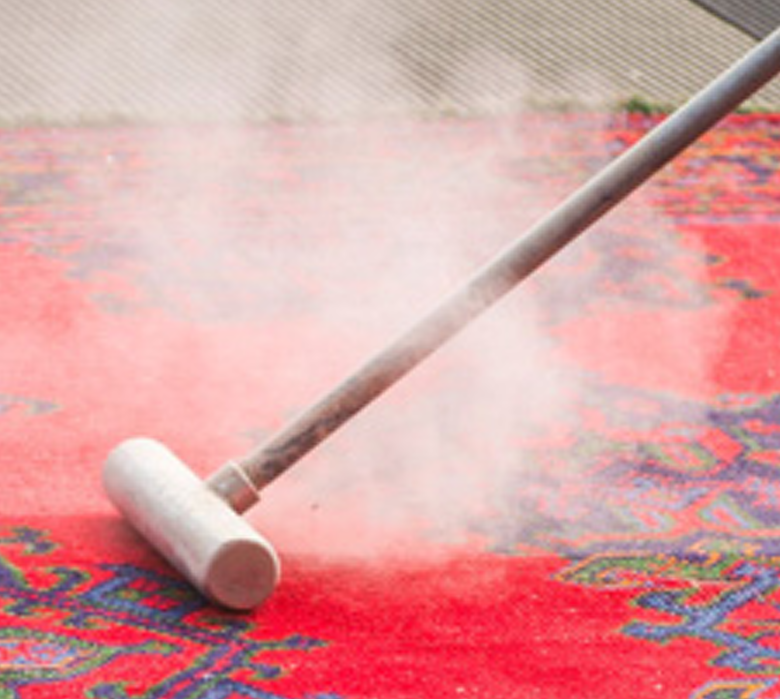 This makes your rug last for decades, or even generations. THESE NATURAL OILS SHOULD NEVER BE STRIPPED OUT WITH CARPET CLEANING CHEMICALS. Beware of companies who don’t invite you to visit their facility. A good rug cleaning company has a storefront and will be happy to show you their shop and operations. If not, you should assume that a) your rug will be subcontracted out for cleaning to people unknown to you or B) there is something unprofessional about the way the rug cleaning operation is being done. Do they have RUG insurance? Most carpet cleaners have insurance that covers only the cleaning of wall to wall carpeting. We know the value of the rugs our customers bring us because it is part of the client interview process we do when we pre-inspect a rug for cleaning. They can be quite valuable! This is why we make sure to have adequate insurance that covers the cleaning of these oriental and other area rugs. Are they experienced? We are experienced in wool, silk, cotton, camel hair, new synthetics such as bamboo and banana silk, and synthetics. All of our rug wash staff is thoroughly trained by our company owner - we never just delegate the care of your rugs to unskilled labor. DON’T TRY TO SAVE A LITTLE MONEY OR TIME AND WIND UP LETTING AN INEXPERIENCED RUG CLEANER PRACTICE ON YOUR RUG. Are chemicals such as bleach being used to clean your rugs and whiten your fringes? Many rug wash companies will grudgingly admit “we use a little bleach” in the washing of the rugs. The bleach is harmful and not approved by Woolsafe. It will dry out and weaken the fibers, causing future threadbare areas, holes, and disintegrating fringes. The main advantage of applying fabric protector is the extended life of your carpets, rugs, and upholstery. Scotchgard™ prevents the wearing down of carpet by coating the fiber. However, with time the protector wears of, especially in high traffic areas. Reapplication is recommended every couple of years. Scotchgard™ will help prevent spills to become permanent. 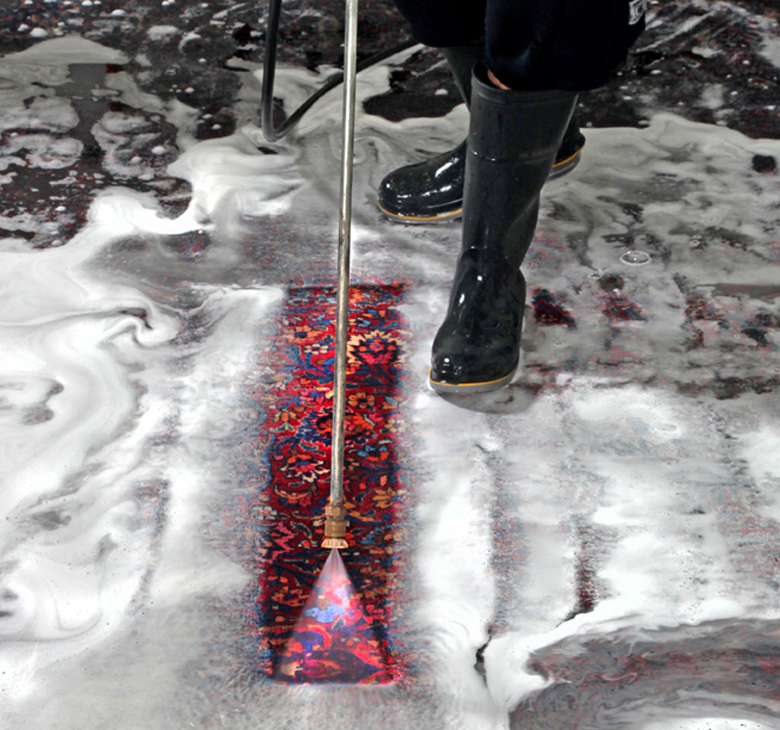 A spilled liquid cannot penetrate through coated upholstery, carpet, and rugs fibers. Liquid is without difficulty removed because it sits on the surface of the carpet. Vacuuming will become more proficient, since dust, grease, and grime will be easily removed from Scotchgard™ coated fibers. 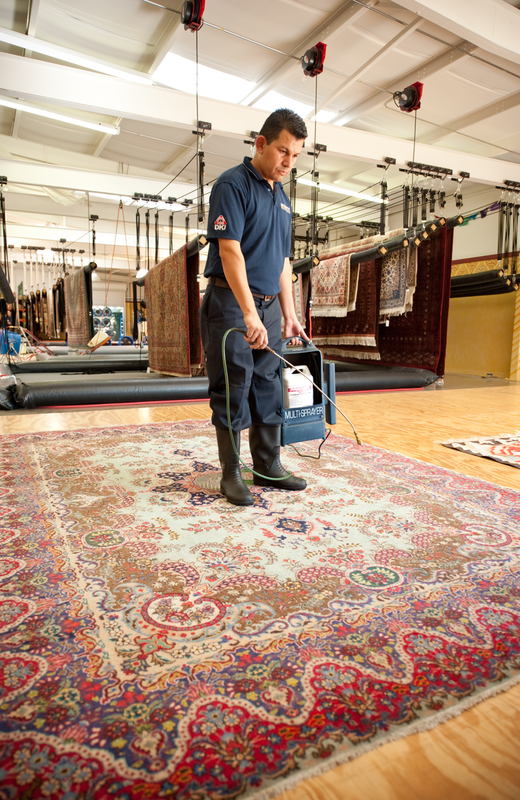 Do your Oriental rugs in need of repairs ? Do your rugs need re-weaving or rebinding? 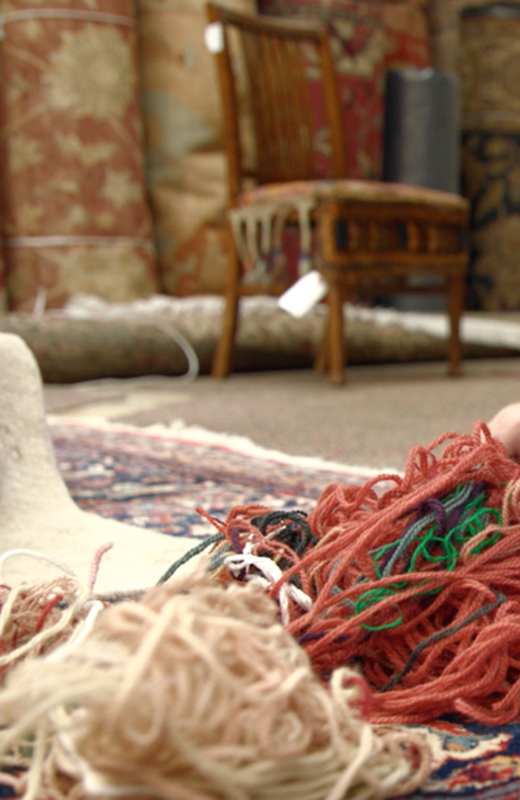 Are your rugs’ fringes getting worn, dirty, ripped, or discolored? Boston Rug Repair Crew can handle all of your repair needs. 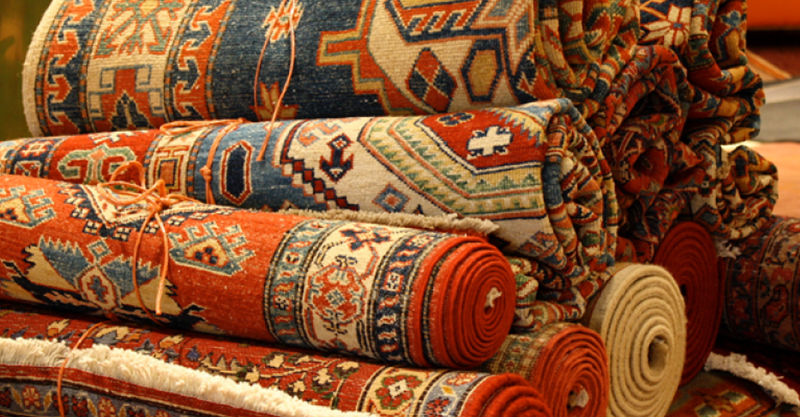 From fine rugs to simple, inexpensive rugs, the same team handles your evaluation and repair from start to finish. Carpet Aren't The Only Flooring That Needs Professional Cleaning. How to get the most accurate price on a cleaning? Please feel free to add more info in the "Send a Message" form regarding the required service, such as sizes of rugs, rug condition, any particular stains and etc.